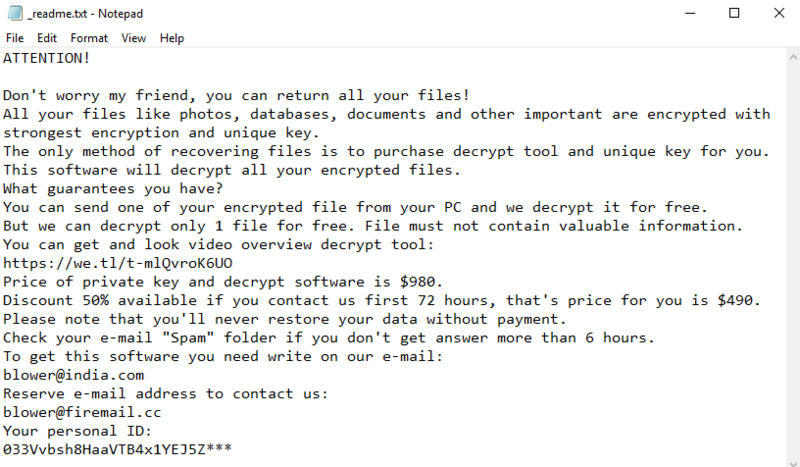 Chech is the newest version of DJVU ransomware from STOP ransomware developers. This virus works quite the same way as an older one: it will search for vulnerabilities in a victim’s system in order to use them and infect a PC. Once it is in a system, it will encode all the personal files so that a user unable to use them anymore. To get control over these files, a victim have to pay to cyber crooks for decryption. In case your PC infected with this ransomware, we recommend you to use our guide to remove Chech ransomware and decrypt .chech files. There are two solutions of this problem. First is to use special Removal Tool. Removal Tools delete all instances of malware by few clicks and help user to save time. Or you can use Manual Removal Guide, but you should know that it might be very difficult to remove Chech ransomware manually without specialist’s help. Remove Chech from Windows (7, 8, 8.1, Vista, XP, 10) or Mac OS (Run system in Safe Mode). Here is step-by-step instructions to remove Chech from Windows and Mac computers. Follow this steps carefully and remove files and folders belonging to Chech. First of all, you need to run system in a Safe Mode. Then find and remove needed files and folders.